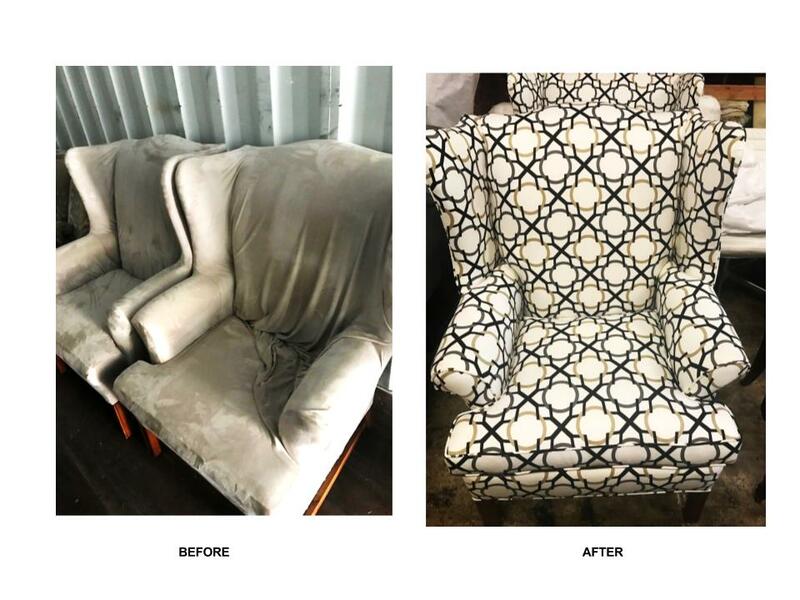 For more than 30 years, Ace Upholstery has served Atlanta and the surrounding area with a commitment to quality workmanship and customer service. We take a hands-on approach, working closely with our clients to understand their needs in terms of design intent and functionality. 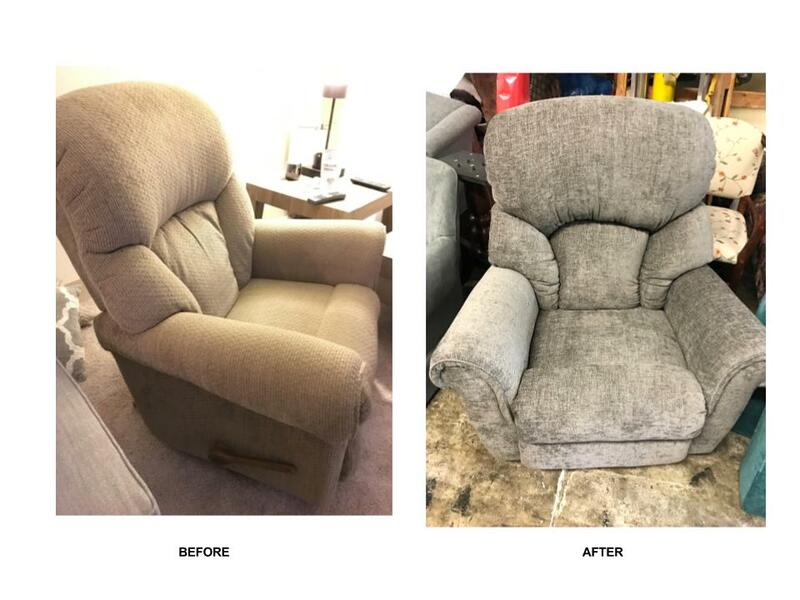 Our use of traditional upholstery methods, along with modern materials, allows us to provide you with a rejuvenated product oftentimes better than the original. 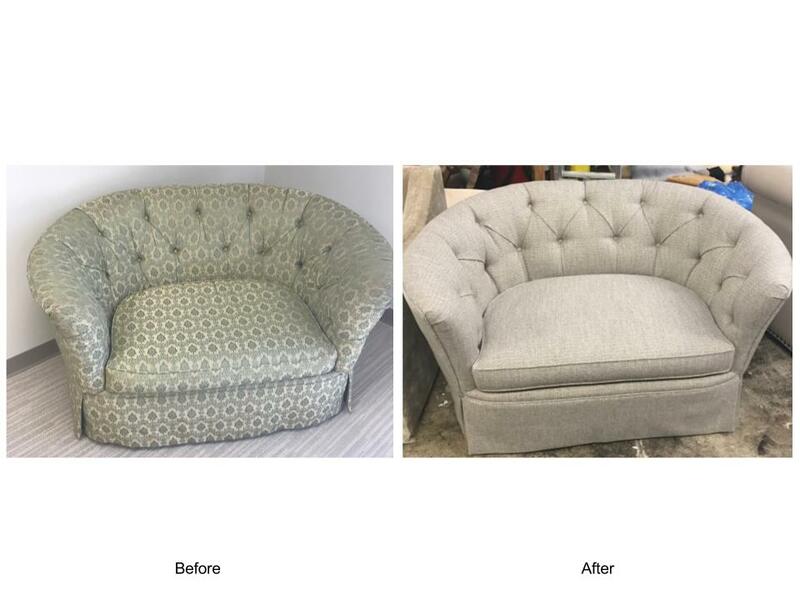 We do not simply replace the fabric - we reduce the furniture to its frame and begin the upholstery process anew. We believe the best tool for success is personalized service - our goal is to build trust and long-lasting relationships with our customers. SMALL REPAIRS SUCH AS: RETYING SPRINGS, WOOD GLUING, REFILLING CUSHIONS AND MUCH MORE. Each project begins with a free estimate. 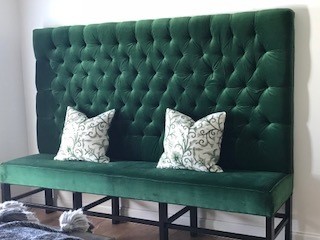 The best way to obtain an estimate is to email a photo of your item to us using the following link: aceupholsteryatl@gmail.com with a description of the piece and approximate dimensions. If you prefer to discuss your project in person, you are welcome to stop by our shop any time. No appointment is necessary. Once we have all of the details, we will provide you with an estimate. 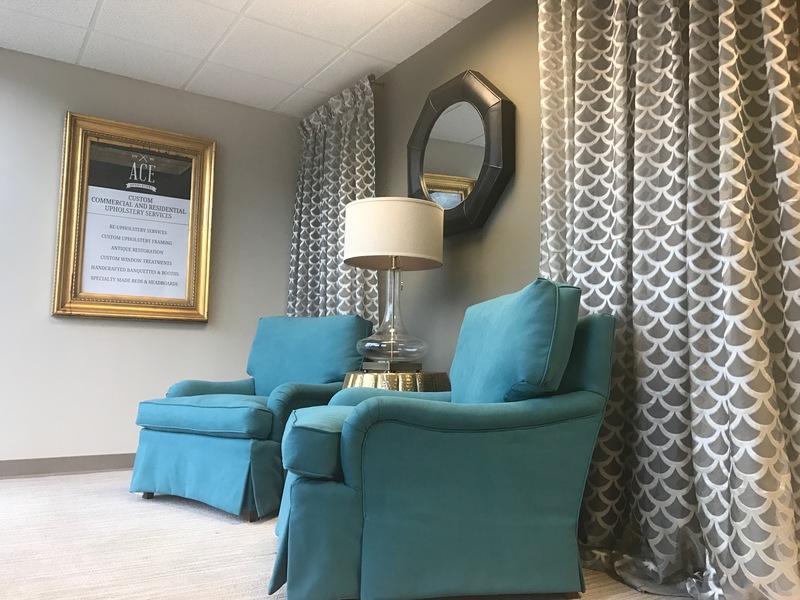 If you are not able to transport the furniture yourself, we offer pick-up and delivery services for a fee of $25 each way within I-285 (fees for delivery outside I-285 may vary). 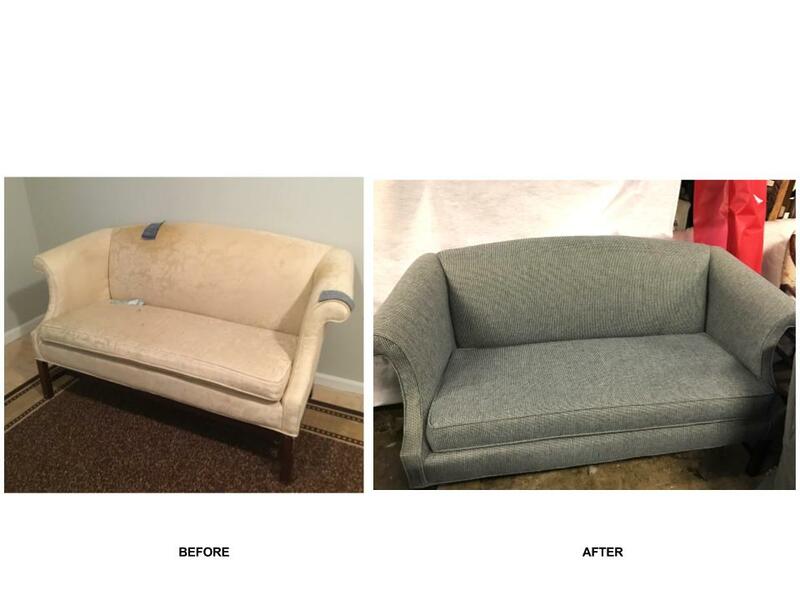 Once the furniture and fabric are at our shop, we will give you an estimated completion date. The work process begins by removing the old fabric and filling to the bare frame. We check the frame for motion in the joints and repair them. We inspect springs and webbing and replace them, if required. We retie coil springs using the traditional method of the 8-way hand-tie. We replace the fillings and padding with new materials as necessary. We cut and sew fabric components and apply. We then add finishing trims. 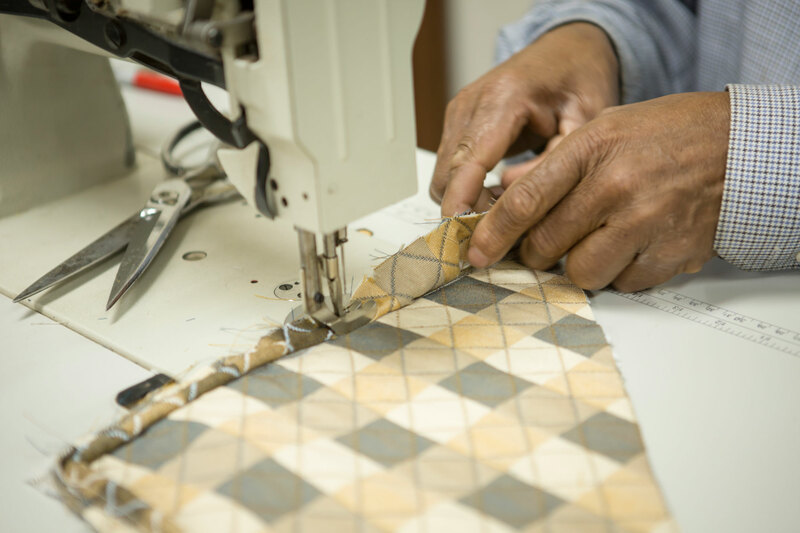 Each piece is personally inspected for quality workmanship. When the work is complete, we will contact you to arrange pick-up or to schedule a delivery date if needed. The balance of the job is due upon completion. Prompt pick-up/delivery of finished pieces is requested – a storage fee may be applied on pieces left over 3 weeks. Pieces left over 6 months are subject to disposal. We strive to send out only high quality, error-free work. 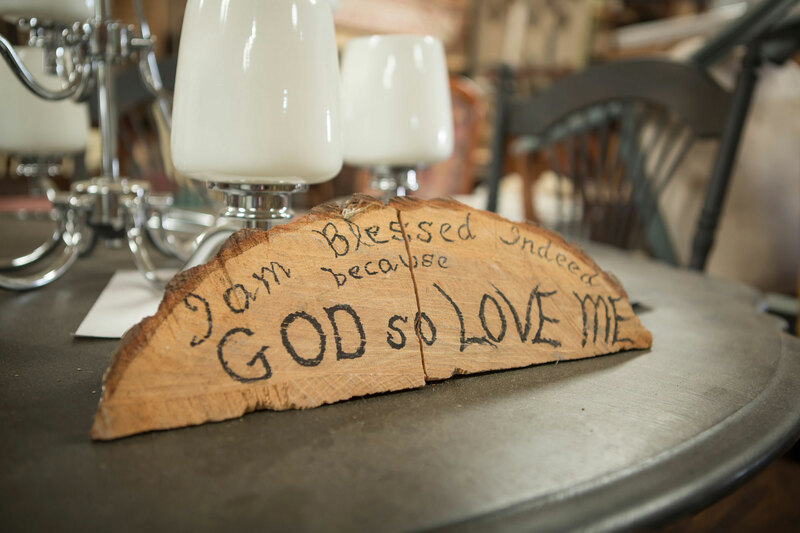 If you are not completely satisfied with any aspect of the work, we will always stand behind our craftsmanship. That is our promise. © 2017 Ace Upholstery. All Rights Reserved. Design by Resource Branding & Design.